Enjoy a warm welcome, deliciously prepared local, seasonal food and a comfortable, relaxing stay at the Charles Bathurst Inn. 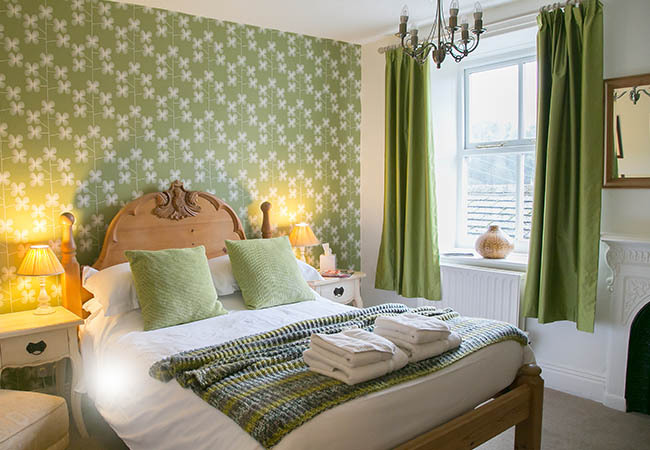 We are nestled within a spectacular Yorkshire Dales landscape, at the edge of the Pennine Way and close to the mid point of the Coast to Coast walk and adjacent to the dramatic Stang (one of the world’s great cycling climbs). We’re at the heart of a local farming community and popular amongst locals and visitors alike - walkers, cyclists, and other explorers - a mix that creates a vibrantly busy atmosphere featuring a cast of local characters. 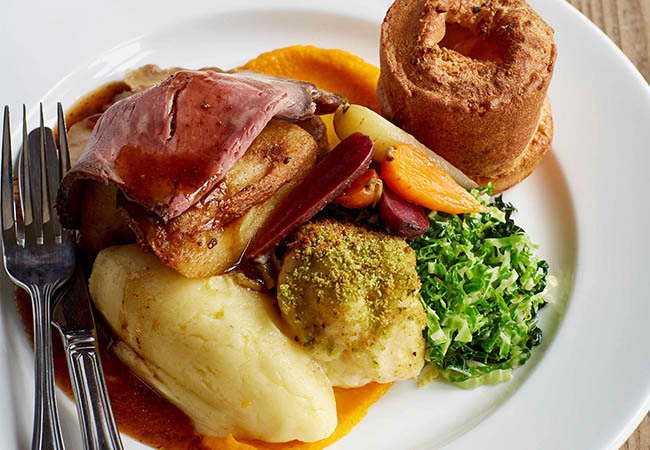 A proper Yorkshire welcome, an award winning seasonal menu featuring produce from local farms and game from the surrounding moors accompanied by fine ales and carefully selected wines. 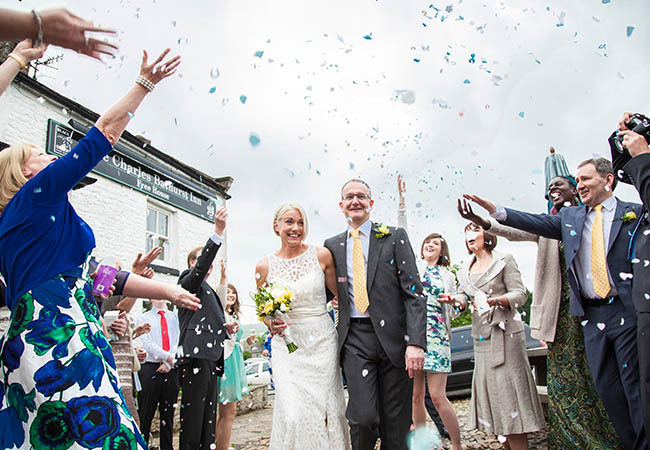 An ideal base for exploring the Yorkshire Dales and the perfect setting for a special celebration. With a traditional welcome and a laid back atmosphere, this historic inn provides the perfect setting for a special and intimate wedding celebration. 'Girls away day' Myself and four friends stayed midweek and had an excellent experience. We had been walking during the day and arrived at CB exhausted and ready for a cozy room and good food which is exactly what we got. The rooms were lovely with fantastic views and the food was excellent made up of good local ingredients. We will definitely return for more girly getaways. 'Superb' Lost count of how many times we’ve stayed at the CB, & this time was no exception. Couldn’t fault a thing except the weather! Food was excellent,staff as usual very personable, rooms spotless. Will be back in the new year, & hope you all have a lovely Christmas. 'Excellent Weekend' We came as a party if 6 and had a wonderful weekend. It’s been a while since we stayed and took advantage of the Black Friday deal staying for 2 nights. The staff where excellent , the food was delicious and breakfast as good as we remembered. Our friends where all on first visits and being walkers are already planning to come again soon. Thank you for making a great stay. 'Our stay last week' We took up your excellent £120 deal and received our money\'s worth. It\'s quite hard to spend all that on food and drink if you want to avoid excess but we just about managed it, with the help of having a guest one night. As ever, the food was very good. The breakfasts were superb, completely negating the need for lunch. Room 1 was very comfortable and we look forward to staying in it again next month. As I said to Emma, it could do with an extra chair in the main room and some coat pegs on the wall of the lobby. Finally, the service was great. Having now enjoyed the CB for the last 17 years, I have always admired your ability to hire lovely people who are always so friendly and helpful. Long may that continue. 'Keep coming back' This is our favourite place for a short break. We live in York, so it’s not too far. We know that we can completely switch off and recharge and it has never let us down. The staff are always lovely, genuinely friendly people and the rooms comfortable- we always sleep well at the CB. The food, from the mirror menu above the log fire, is fantastic, using a lot of local produce. We walk, eat and drink, usually playing scrabble in the bar to finish off our wind down. Breakfasts are equally good- fantastic bacon! Every time we leave, we know we will be back.... Thank you CB. 'Perfect stay' Booked one nights stay at the CB Inn at the very last minute as another hotel had let us down. Couldn\'t have been happier with our choice. From the first phone call to book to checking out the staff were friendly and helpful. Our room was huge and I would defy anyone to find a better view in the dales. Beer and food were both excellent and my husband declared his kipper to be the best he had ever tasted! Quite an accolade. We have just rented a house locally as we are moving to the area so the CB Inn will be our local. Positively ecstatic! 'Great destination for exploring beautiful Yorkshire Dales' We were a group of 10 adults and we had a wonderful weekend (Sat and Sun evening) stay. The weather was wonderful so we were outdoors all day, spending the evening in the CB Inn for dinner. Food and service at breakfast was excellent. Also on Saturday night. We all had a great time. Enjoyed the lounge next to the bar. Apologies to any other guests if we were noisy! I would definitely return.